Here's something that people of a certain age might remember. Some of my recent posts have been a bit "GIMP-heavy" so I've gone "back to basics" for this one. The whole of the main illustration is 100% Scribus bezier curves. I've not attempted to make an exact copy of the original but I've tried to keep the same quirky "not quite drawn right" style. 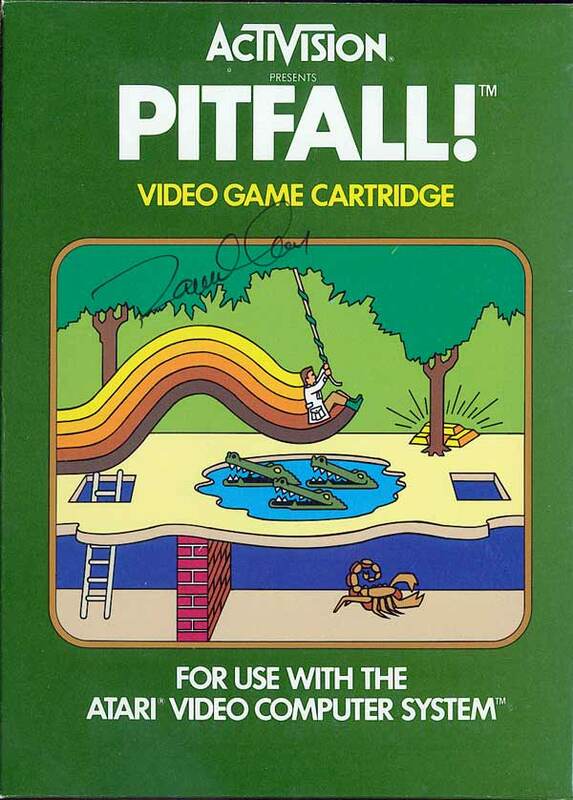 Re: Old Video Game cover - Pitfall! that you chose Pitfall! was even more epic. You rock sir, you rock indeed! Many thanks Kunda; much appreciated. I'm glad you like looking at my work. It's nice to know when people like what I make. I totally agree with you about using the right tool for the right job - and Inkscape would have made some things a lot easier - but in this case I wanted to see if I could do it in Scribus, just out of curiosity. It was an experiment in seeing what limits Scribus might have with this sort of thing while at the same time trying some different techniques to see what works well. And I'm glad to say that Scribus didn't disappoint, for the most part anyway. I had a few Signal Six crashes at weird times, and I noticed that working at very small dimensions can be tricky, and the Node Editor could have been more helpful at times, but in general all was good. If anything, it proves that Scribus can be used to make this type of illustration without the user needing to learn another application. So, Hooray for Scribus! Certainly there is no font for the "Activision" (or is there?). Did you draw all of that out as well? Either way, incredible job! You've made me miss my 2600 dearly. Many thanks solaero. Much appreciated. After I had drawn the main illustration I didn't have much energy or patience to create the Activision logo from scratch so I just got an image for it from somewhere on the web (a wiki page I think). Everything else was created in Scribus. I could have gone the full nine yards and created that too but I just couldn't be bothered for something that's not going to be used for anything but an example. That was my favorite game of all time for my 2600! Great job on the artwork, looks exactly as I remember it. Many thanks mnawij. I'm glad you like it. It was a lot of work with the Node Editor but I think it was worth it.